The Chinese military appears to be dramatically increasing its presence around a key island in the South China Sea, sending a strong message to Washington. As Beijing continues its land reclamation projects in the South China Sea, Washington has remained adamant about one island in particular: Scarborough Shoal. Located northeast of the Spratly archipelago, it is claimed by China, Taiwan, and the Philippines, and the US has maintained that any attempts to militarize the shoal would cross a "red line." According to Pentagon officials, Beijing may have just crossed it. While China has maintained a small presence of two or three maritime security vessels around Scarborough Shoal, that number has escalated in the last few weeks. US officials familiar with intelligence reports tell the Washington Free Beacon that there are now over a dozen Chinese ships in the area. In addition to security vessels, Beijing will also permit hundreds of fishing vessels to harvest the rich waters around Scarborough Shoal. This tactic was similarly deployed in the East China Sea, where Beijing sought to legitimize its claim to the Senkakus, islands claimed by both China (where they are known as the Diaoyus) and Japan. In March, US President Barack Obama met with Chinese counterpart Xi Jinping, issuing a stern warning against the militarization of Scarborough Shoal, given its strategic proximity to the Philippines. "The signaling from the US side was that this was serious," a former US official, speaking on condition of anonymity, told the Financial Times. China’s apparent decision to flout that warning is likely related to last month’s ruling by the Hague-based Court of Arbitration. That decision sided against China’s nine-dash territorial claims in the South China Sea, a ruling that Beijing does not recognize as legitimate. 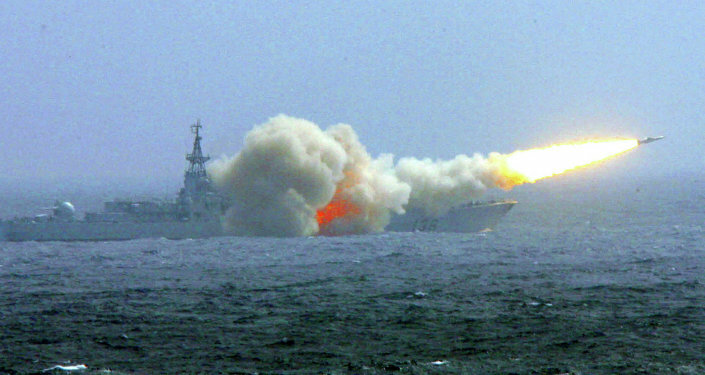 In the wake of the ruling, both the US and China have stepped up combat patrols in the region. Earlier this week, satellite images revealed that China is building up its military presence in the Spratly archipelago as well, with new aircraft hangars at Fiery Cross, Subi, and Mischief Reefs.